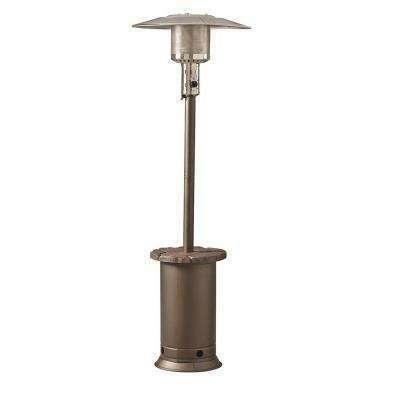 This bronze patio heater puts out 47,000 btu's to help warm a patio or tent on a cold winter night. Propane tank is included. Multiple heaters may be needed for larger spaces.